When it comes to kids, all dental exams and procedures need to be done with extra caution. The dentist’s approach to kids is very important. Of course, few are the people who enjoy going for a dental check-up but for kids, this experience can be even more stressful and scary. This is why it’s crucial that the pediatric dentist has the right approach to your kid so that your little one is having fun at every dental exam. We at Gallegos Family Dentistry understand that working with kids can be challenging. However, we want both children and their parents to be comfortable and calm at our office. We guarantee that Dr. Gallegos and his team stay up to date with the latest technology and that their long experience and friendly approach makes our office a fun place your kid will love. If you’re looking for a pediatric dentist in Albuquerque, New Mexico, this article will help you as we’ll show you the 4 kids dentistry advancements you should be searching for at the pediatric dentist’s office. Kid-sized dental tools and equipment are one of the latest and greatest trends in pediatric dentistry. Adult tools are still used on kids as well, especially in a general dentist’s office. However, nowadays most pediatric dentistry offices are equipped with special technology that is appropriate for toddlers and children. They’re not only smaller, safer and much more precise for baby teeth but they’re also better for kids at a psychological level. Often they’re in fun and bright colors and remind them of toys instead of scary tools. And anything that looks fun doesn’t scare or bore kids, so they don’t associate their dental exam with something unpleasant. 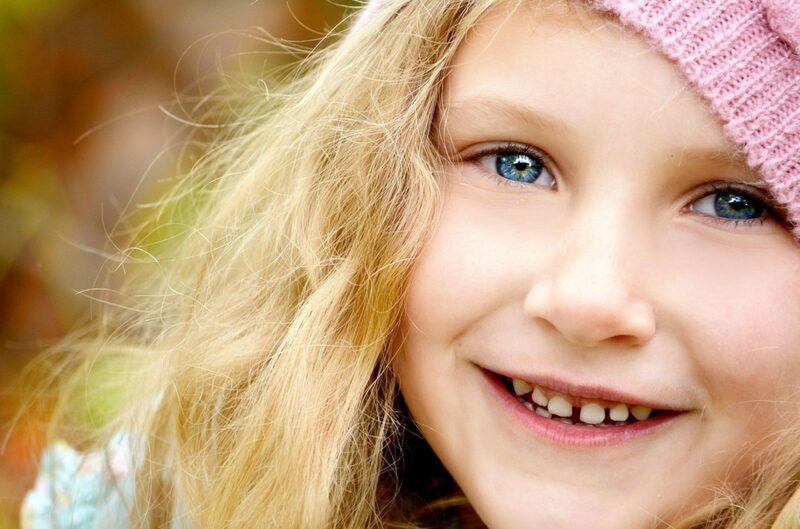 Primary teeth are extremely important for many reasons. They help with chewing so that your kid can eat food that’s healthy and necessary for the body while growing up like nuts, fruit, and fresh vegetables. The primary baby teeth make the way for the permanent ones so they can come out properly. They’re also important for the right facial and speech development. Another thing baby teeth are very important are the confidence they give to kids. Not only adults can be self-conscious about their appearance. Kids can also suffer from a lack of confidence because of something like their smile. That’s why it’s important to detect tooth decay in primary teeth and to treat it as early as possible. Early cavity detection means faster, easier and less painful treatment. It’s also less invasive so it preserves a lot more from the actual tooth. With today’s technology and diagnostic tools, it’s a lot easier to detect early cavities even before they lead to a toothache or other problems. This new technology is based on transillumination thanks to which it’s possible to literally see through the teeth because it makes enamel look transparent. While doing so, any cracks or cavities are easily noticed because they appear dark. Sometimes, it’s also possible to reverse the tooth cavity with preventative care such as fluoride treatments. They can help the remineralization of the teeth that strengthens the enamel and can even heal cavities if they’re in their early stage. A good reason why kids don’t like going to the dentist is the pain from the different dental procedures. This is easy to understand because even as adults we tend to avoid things that cause us pain. So a major pediatric dentistry advancement is the painless injections. With most treatments a child may need, there’s an injection involved and needles seem to be the most terrifying for kids. The possibility of getting a shot makes them fear to visit the dentist and cooperating at the dental exam. Thankfully, there are now painless oral injection systems that can improve the patient’s experience. These tools can reduce the amount of anesthesia needed and can make the shot painless. When kids get familiar with these techniques, the thought of injections doesn’t cause them dental anxiety. And after the anesthesia, the pediatric dentist can complete the dental treatment more quickly and effectively while the patient doesn’t feel any discomfort. Another option for kids with extreme dental anxiety or phobia is the highly effective sedation dentistry. Nitrous oxide can be used for a safe sedation and is now used widely in pediatric dentistry. This way patients don’t feel anything and may not even remember the appointment at all. However, this is always discussed with the parents first so they make the right choice for their family. Since dentistry, in general, has been improving more and more in the past years, we now have the knowledge and equipment to prevent tooth decay and other dental issues. And everyone will agree that it’s better to be safe than sorry. Now we can focus more on preventing our teeth from cavities and gum diseases instead of spending time, money and nerves on numerous treatments. Preventative care has been a notable trend in pediatric dentistry. Nowadays, we have the tools and science to keep the tooth intact as much as possible and every pediatric dentist strives to take the invasion of the natural tooth structure to the minimum. We have a wide range of preventative care options such as fluoride treatments, dental sealants, mouth guards and digital x-rays. They’re all here for us and our children to help us protect our teeth. Thanks to these, we can drastically reduce the number of restorative treatments. With regular dental visits, good oral hygiene education and habits, kids can be taught all about cavities an what they can do to prevent them as much as possible. And when they’re aware of the outcome of their actions, they have better dental education in their adult lives and take better care for their oral health. The constantly evolving field of pediatric dentistry gives children and their parents a better experience each time they go for a dental checkup. The advancements of pediatric dentistry keep making dental treatments more comfortable, efficient, painless and less scary. So, there are no excuses for neglecting the recommended dental exams twice a year for the better of your kids’ health.